This kit was a milestone for Monogram. 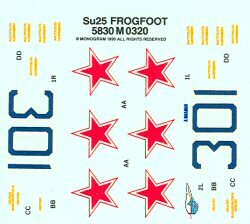 Released in 1990, this was the first kit to be released by Revell or Monogram with scribed panel lines. 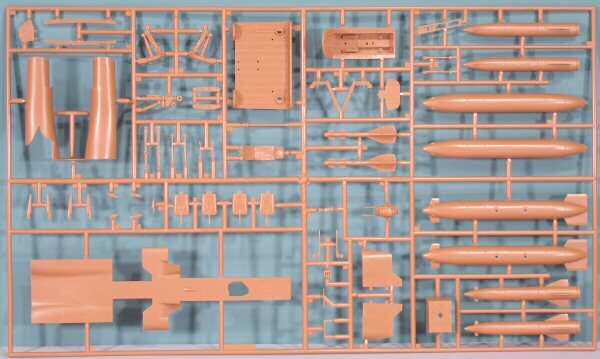 Molded in brown styrene, the kit is presented on three parts trees, plus a single tree of clear parts. The release of the Su-25 was a mixed blessing as it is very nice on the outside as far as engineering, but has a variety of bugs from a notional cockpit to exterior details that represent the early prototype airframe. This kit was developed without the benefit of the extensive references that are now available (remember the days of grainy black & white photographs?). Assembly naturally begins in the cockpit, and here is where the most work will be required. 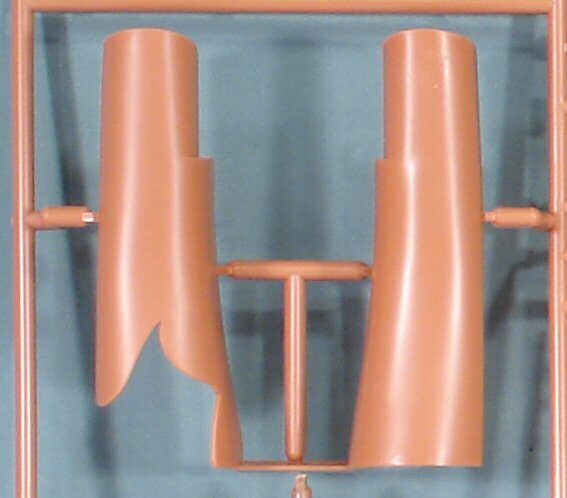 The cockpit tub is fairly generic and will benefit from the Eduard detail set and a new resin ejection seat. The kit seat is not a bad start for the K-36D that equips most modern Soviet/Russian fighters, but it is missing the distinctive drogue chute canisters on either side of the headrest and that interesting maze of straps that make up the shoulder harness. 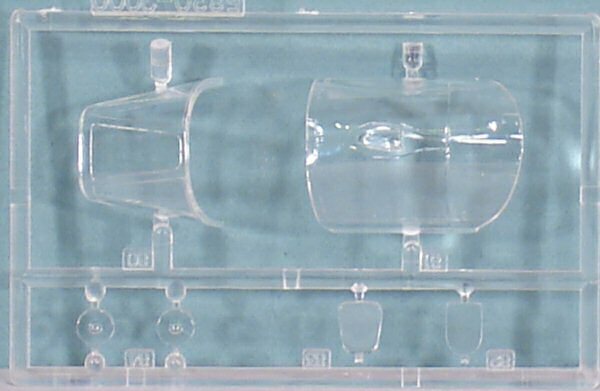 An optional pilot figure is also included. 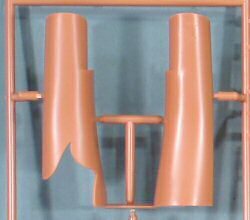 Another nice innovation with this kit are intake and exhaust ducts with engine compressor/turbine faces at the ends (respectively). 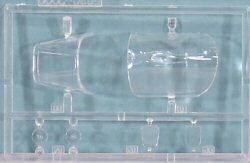 Unfortunately, this kit example had a short-shot (didn't completely mold) in the intake ducts, but I have a spare fortunately. Straight from the box, the kit represents a 'clean machine' prototype. You'll need to check your references if you're doing an Afghan war veteran for missing details as well as placement of the dorsal chaff/flare launchers. 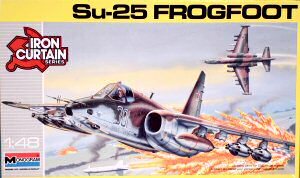 Like the A-10, the Su-25 can carry just about any tactical weapon ever produced for Soviet aircraft. The kit includes external fuel tanks for the inboard pylons, R-60 (Aphid) missiles for the outboards, and four rocket pods, and two AS-7 guided missiles. 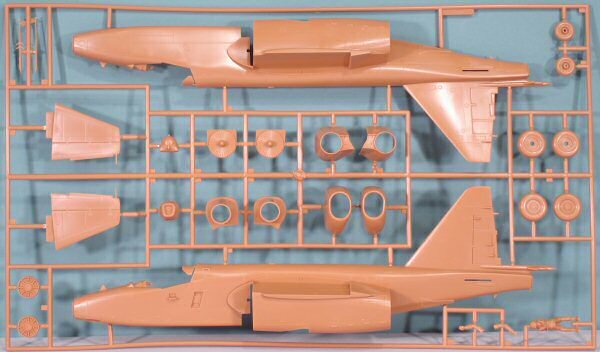 While this kit was a production milestone for Revell-Monogram in regards to the transition to scribed surface detailing, the kit was patterened from fuzzy photographs of what turned out to be an early prototype of the Su-25. 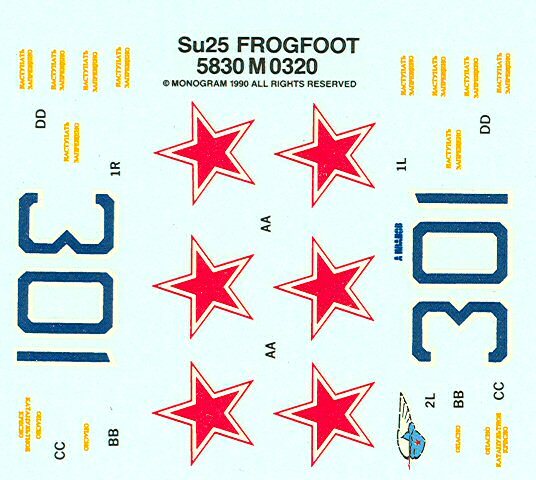 While an AMS modeler might be able to update the kit to operational configuration, there are other kit options out there for a more accurate Frogfoot.